15-year-old Jack Thomas Andraka is an American scientist and cancer researcher who has successfully developed a distinctive method of detecting pancreatic cancer. According to Andraka, the method is approximately 26,000 times less expensive, 168 times quicker than all previous and current treatments, and almost 95% accurate in detecting the presence of mesothelin (a differentiation antigen present in a series of malignancies such as mesothelioma, lung, ovarian, and pancreatic cancer). Pancreatic Cancer is considered to be one of the lethal cancers where survival chances are only 6 percent. More importantly, it doesn’t show any sign or symptoms in its initial stage and by the time patient arrives to a physician for the treatment, it is already too late. Around 100 people die every day and over 40,000 people die every year of this form of cancer. He saw one of his uncles from close acquaintance Succumbing to this cancer and the idea of researching on it popped up in his mind while he was attending a biology class at North County High School. The class was about antibodies. After researching more about the subject in Google, he found that the reason of the deaths from this cancer is due to the failure in early-stage detection. He gradually went deeper into it to find a way to detect it at the early stage and prevent the growth of it. He contacted 200 professors at Johns Hopkins University and the National Institutes of Health to present his initial research, a sketch on how to proceed, the cost of the test, and timeline. Unfortunately, he received rejection letter from everywhere he contacted and finally he received a yes from Professor of Oncology, Pathology, and Chemical and Biomolecular Engineering at Johns Hopkins School of Medicine Dr. Anirban Maitra. 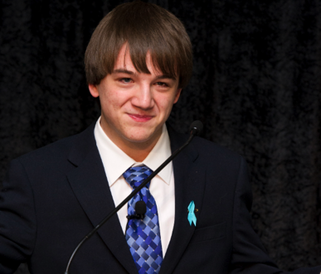 Jack Andraka’s significant contribution at such a tender age has led him to earning honors and awards including the Gordon E. Moore Award and more. He earned the total prize money of $100,500 from different sources for inventing the groundbreaking method of detecting Pancreatic cancer. He is also the recipient of 2012 Intel Science Fair grand prize. He has been profiled in some reputed papers from leading scientific publications such as Science, Nature and the Journal of Clinical Neurology. 1. Don’t underestimate someone’s accomplishments for him or her being too young. It’s not an age that matters most, it is the consistent hard work and determination that works like magical talisman in front of which problems and obstacles shrink. He is not the single example whose achievement is far greater than the age. There is no complex theory to comprehend that how kids can reach success while others struggle, the reason is they are conditioned to look for only elegant possibilities and opportunities to find out the solution rather than highlighting the intricacies of difficulties. 2. Rejection doesn’t mean your plan is not perfect or it is an impossible dream, it does mean that some couldn’t analyze the worth of your standpoint of the same intellectual standard of yours and most importantly their reaction to your idea is their way of projecting to the reality. There are several ways and strategies of accomplishing a goal; therefore, victimizing yourself is needless suffering. 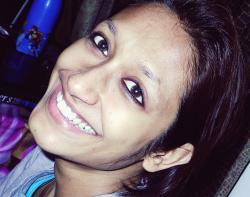 Develop mental toughness to reject the negative impact of those rejections. 3. Self-learners have always ruled the world. The process of self-learning is an adventurous journey where enthusiasm and curiosity initiates your passionate eager to dig the gems from the things around. Rewards are unlimited, opportunities are consistent, and intelligence is never constant.